FACT CHECK: Did 24 Children Go Home Cancer-Free from St. Jude's Hospital in One Week? Did 24 Children Go Home Cancer-Free from St. Jude’s Hospital in One Week? Thanks to Facebook's colored status feature, anyone can create a viral meme in seconds. Two dozen children went home from St. Jude's hospital cancer-free in a single week. St. Jude Children’s Research Hospital is named after St. Jude Thaddeus, the patron saint of hope and impossible causes. It specializes in pediatric cancer and is renowned for treating patients free of cost thanks to donor support. According to the hospital’s literature, its medical staff treats 7,500 patients annually, and St. Jude has 78 beds for children requiring in-patient treatment. 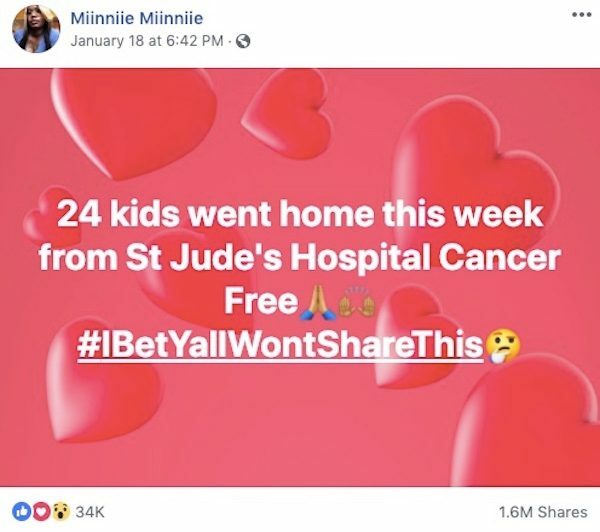 We found no St. Jude press release boasting about 24 children all being released cancer-free in one week, a news event that the hospital, which is funded by charitable donations, almost certainly would have made public. It’s unclear what message the meme maker was trying to send. 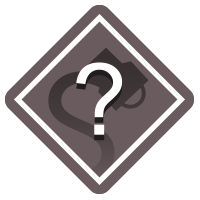 However the false notion that a cure for cancer exists but is being suppressed by the pharmaceutical industry is a popular and persistent conspiracy theory. American Council on Science and Health. 11 June 2016.